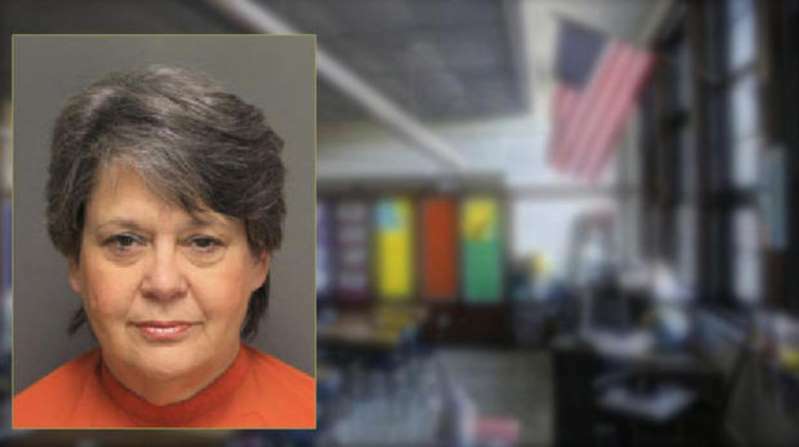 FLORENCE, S.C. -- A South Carolina elementary school teacher has been charged with two counts of child cruelty after allegedly dragging a child by the hair, reports CBS affiliate WBTW. Suzanne Brown Atkinson, 63, allegedly dragged a child down the school hallway by the hair on two different occasions, Lt. Mike Brandt with the Florence Police Department told the station. The alleged incidents happened on May 4 and May 5. Florence School District One Public Information Officer Pam Little-McDaniel says administrators placed a teacher from Carver Elementary in Florence on leave during an investigation of "inappropriate actions toward a student." In a statement Carver Elementary School Principal Chris Rogers said the school is "very concerned about the welfare of the student affected by this incident," but called it an "isolated occurrence." "This is indeed an unfortunate incident; however, we have cooperated fully with law enforcement officials during the investigation of this matter," Rogers said. Atkinson turned herself into police Thursday morning and was booked into the Florence County Detention Center. She is on administrative leave and her actions remain under investigation by district officials, school leaders say.